I received this great note and picture and thought you would enjoy seeing it too. This is the first tangled teen I have seen and she makes me think that this is what a Lilah Bean might look like when she grows up! ;-) Oh - and be sure to take note of the Hollibaugh tangled belt! Very nice. she wanted to share it with you. 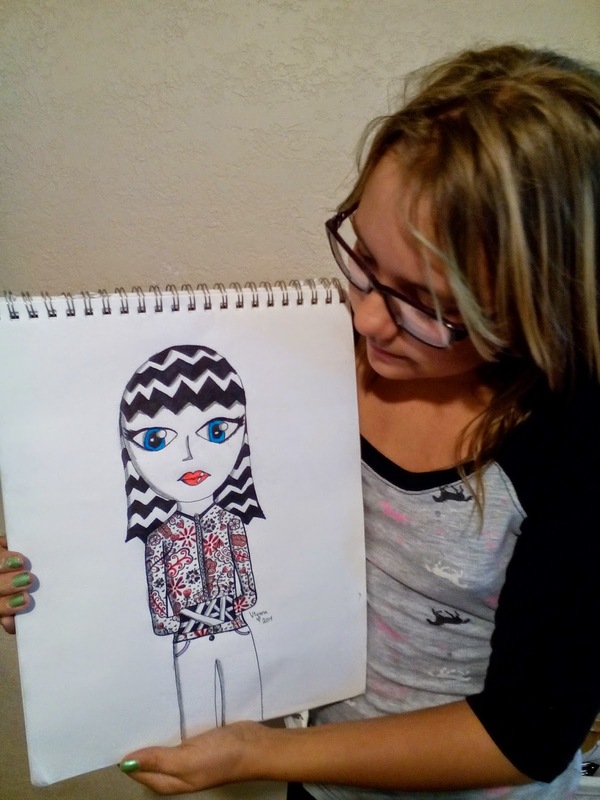 She loves zentangle. We love your books. Her advice is "just have fun with it". Love the creative picture, great job Viyana! nice job! your good at this.